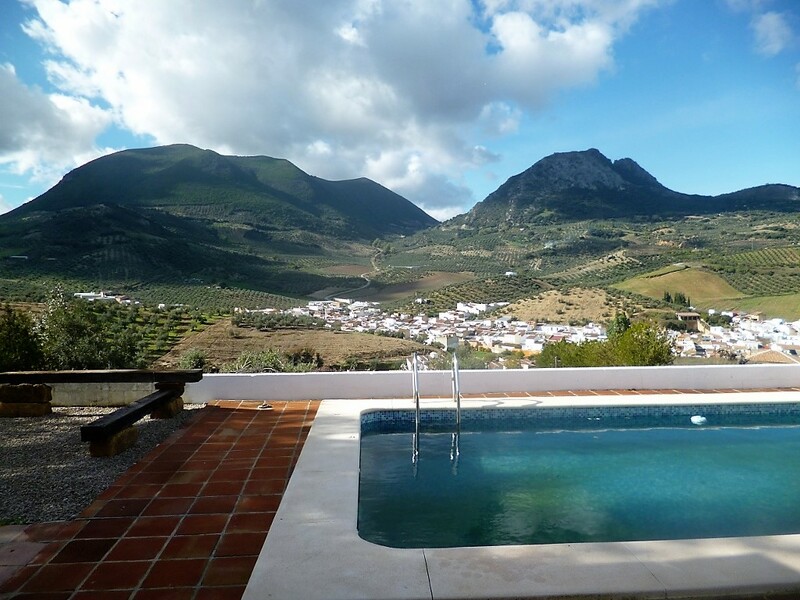 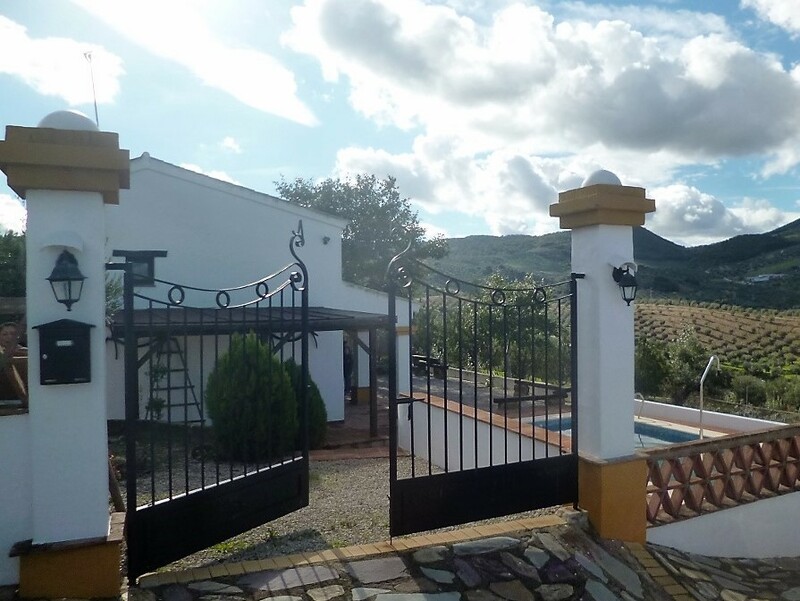 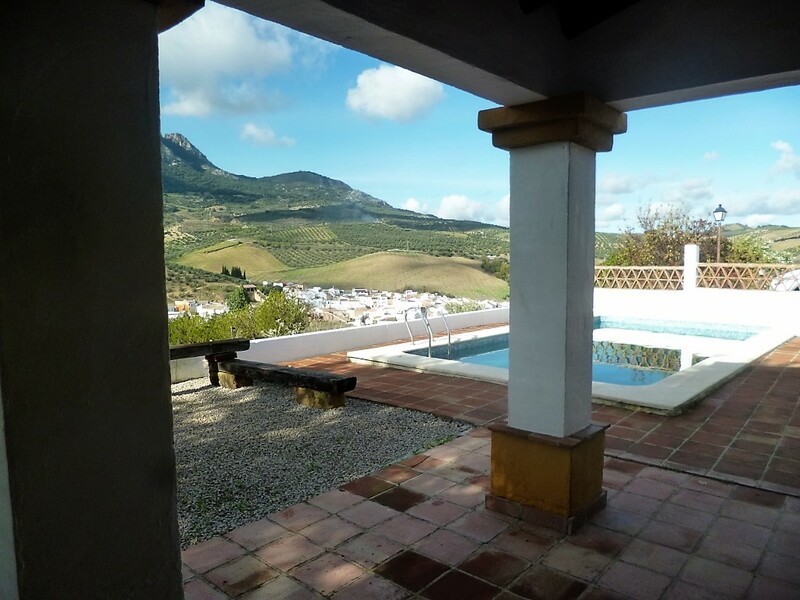 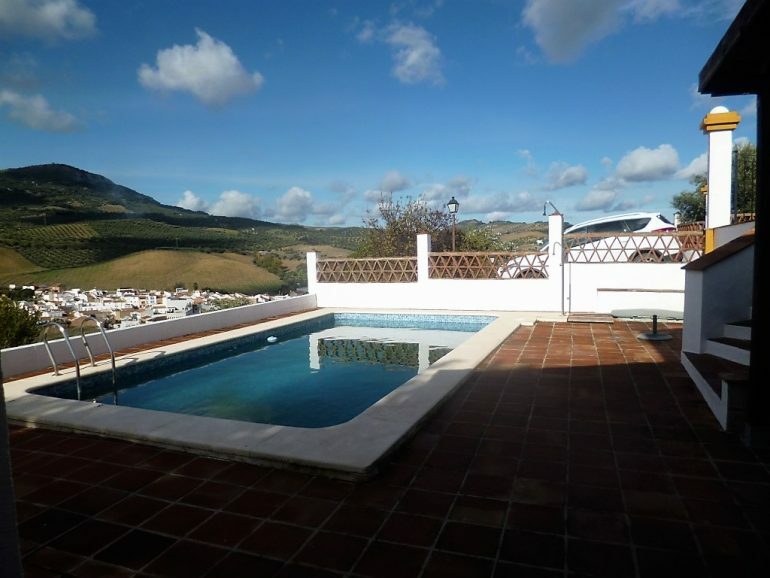 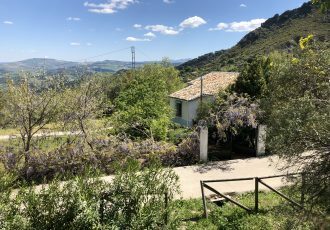 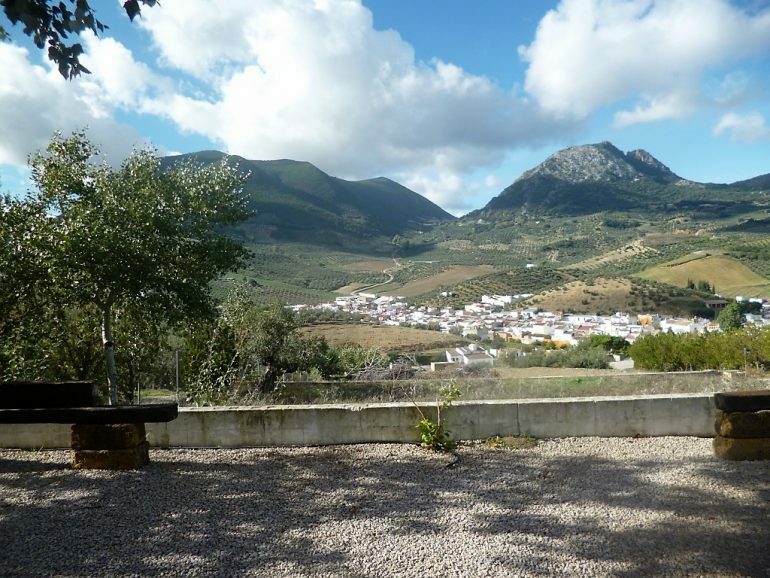 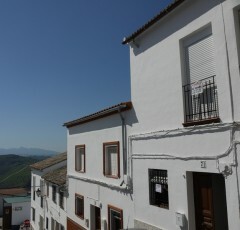 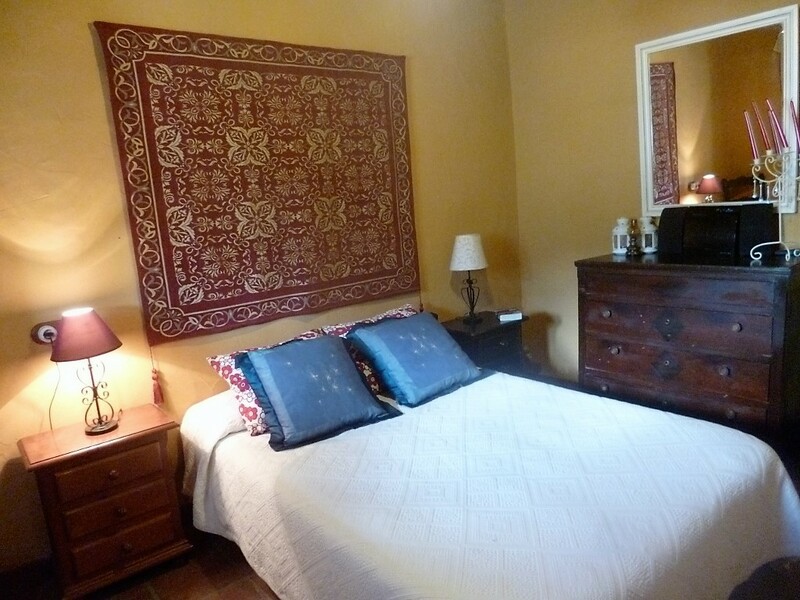 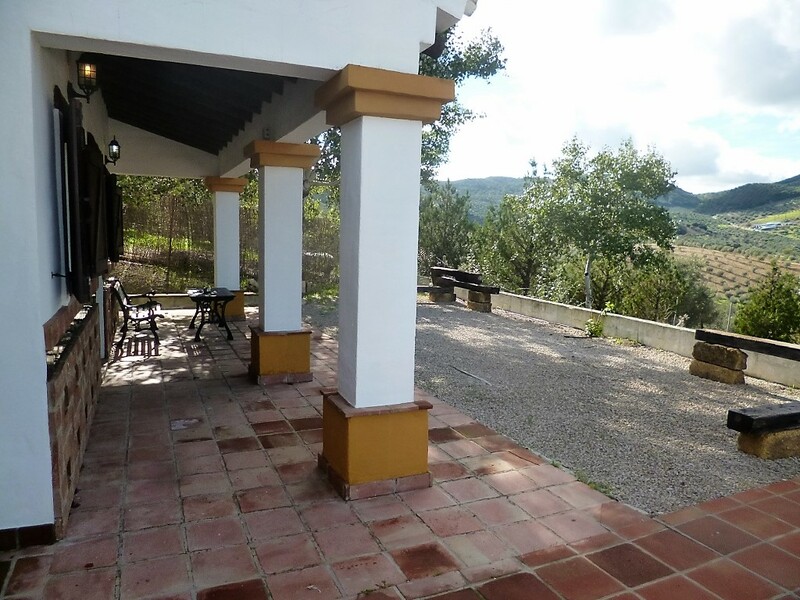 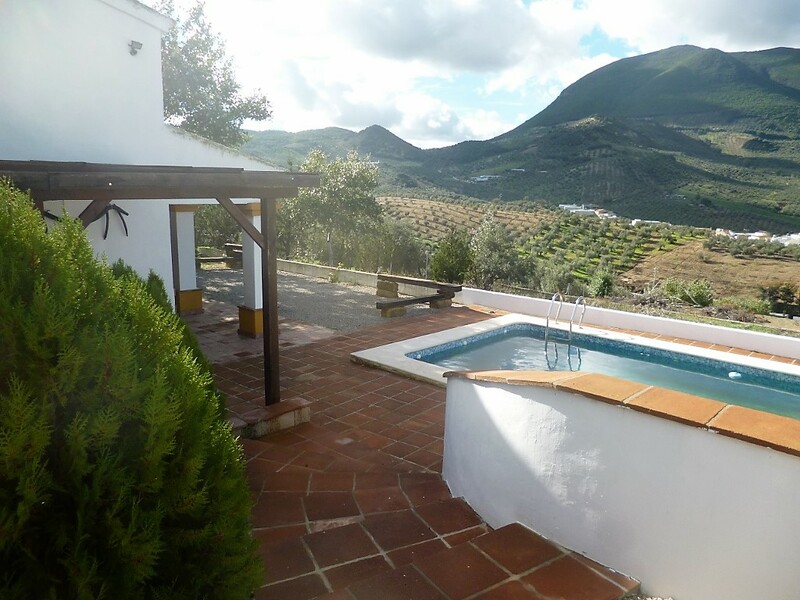 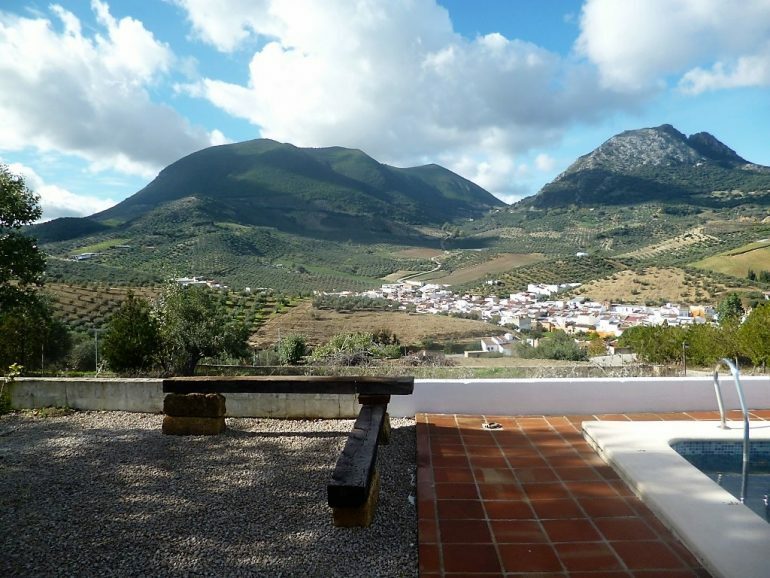 The perfect summer vacation or weekend retreat located on the outskirts of the village of Algamitas in the province of Sevilla with wonderful views to the highest peak in the province the Sierra de Terril and all its hiking and climbing opportunities. 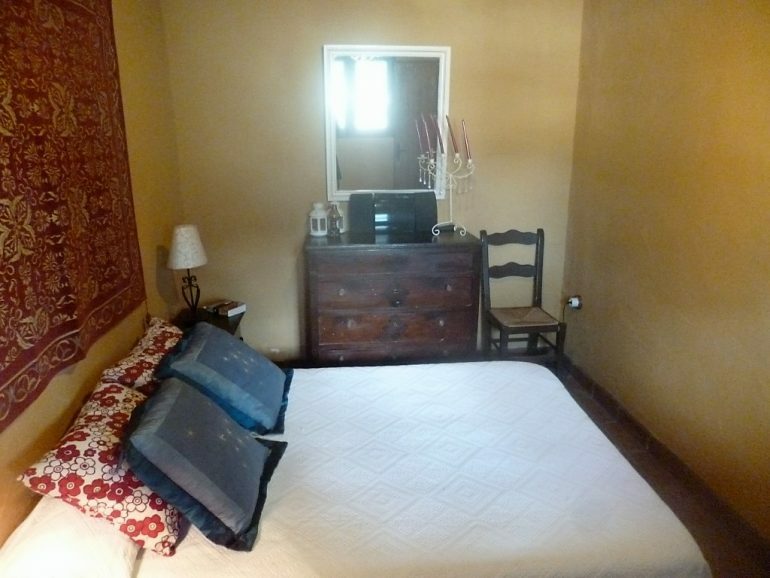 This is a single storey property with a mezzanine bedroom area built around 15 years ago and enjoyed for many a summer by the owners. 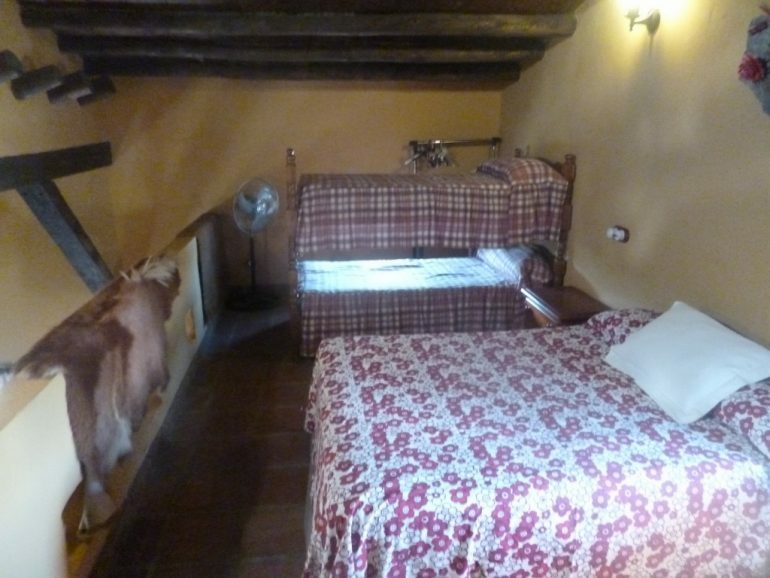 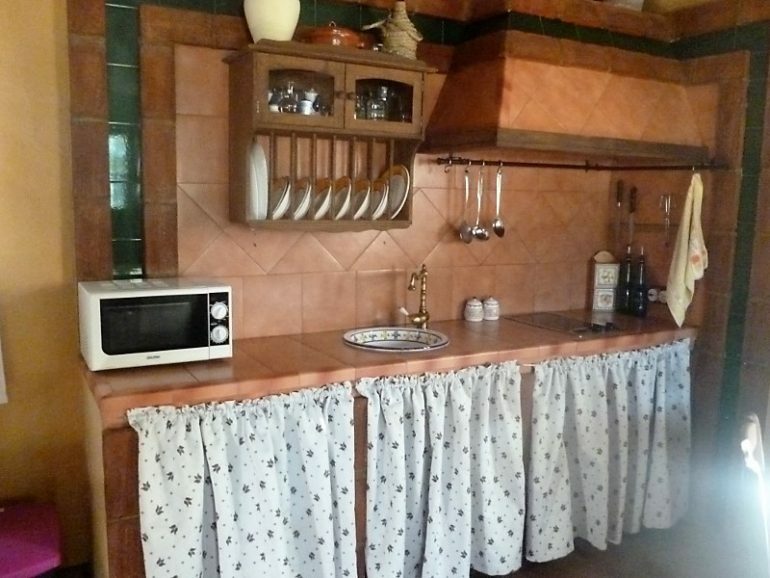 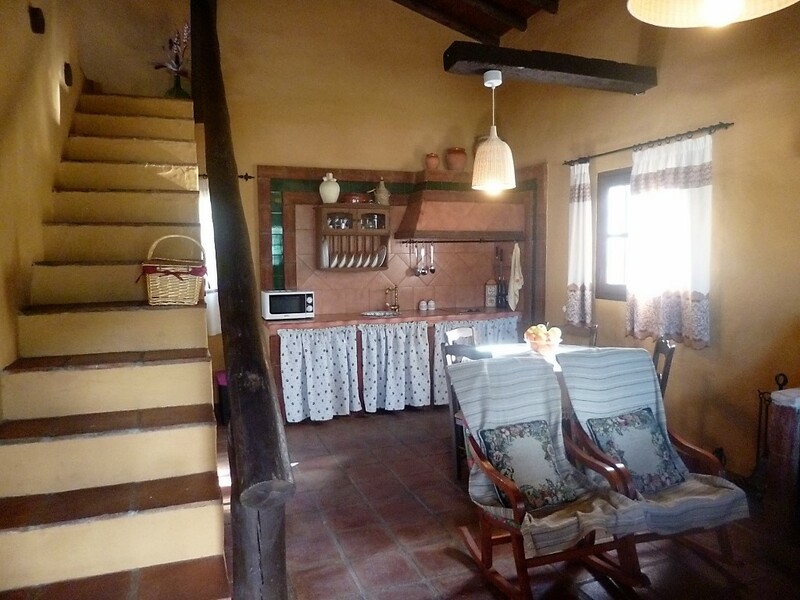 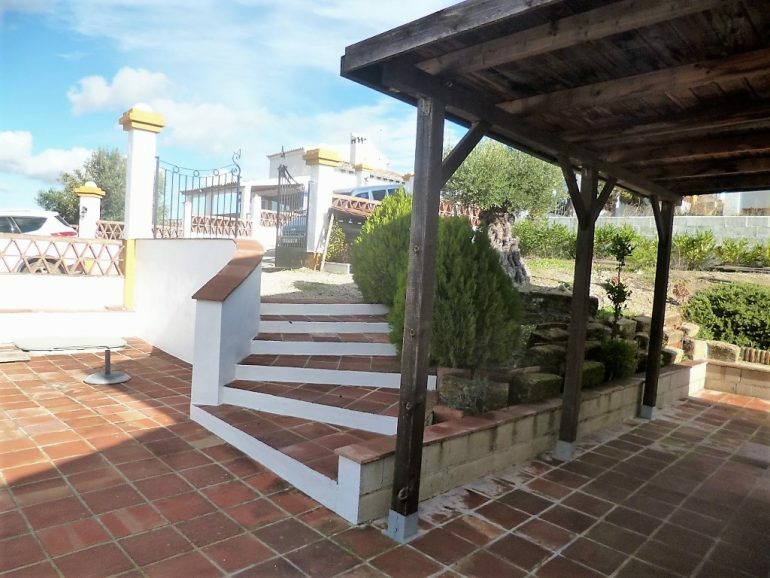 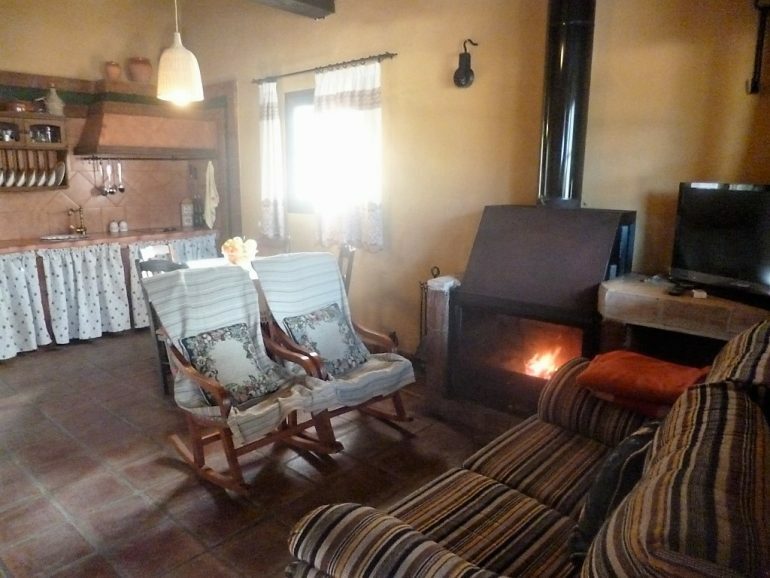 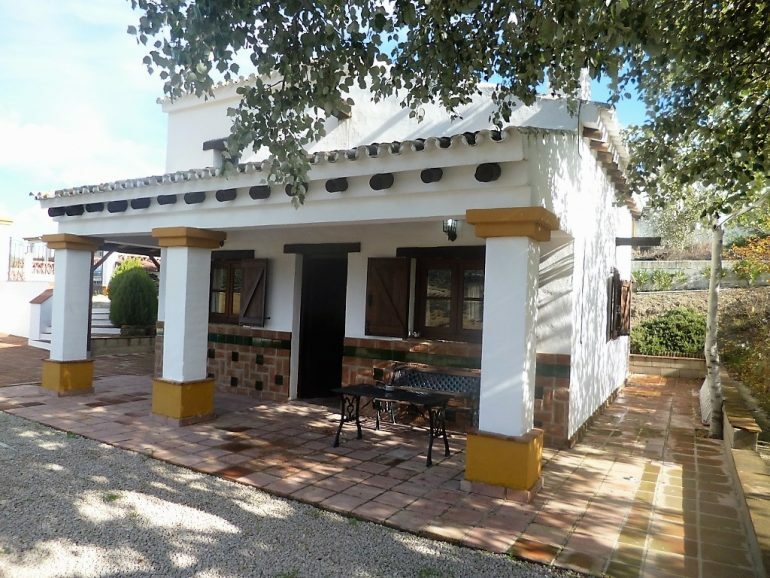 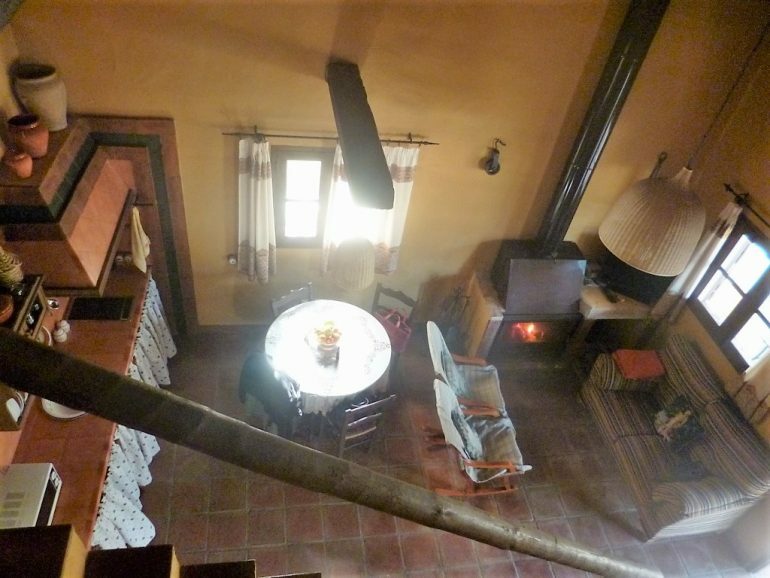 All in a rustic Andalucian country style , you have ground floor open plan living area with built in fireplace, dining and kitchen area , offf this there is one double bedroom and a shower room, The mezzanine bedroom level completes the accommodation. 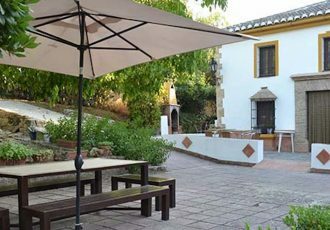 Outside there is a covered porch area to the front and side and of course a lovely swimming pool for the hot summer days. 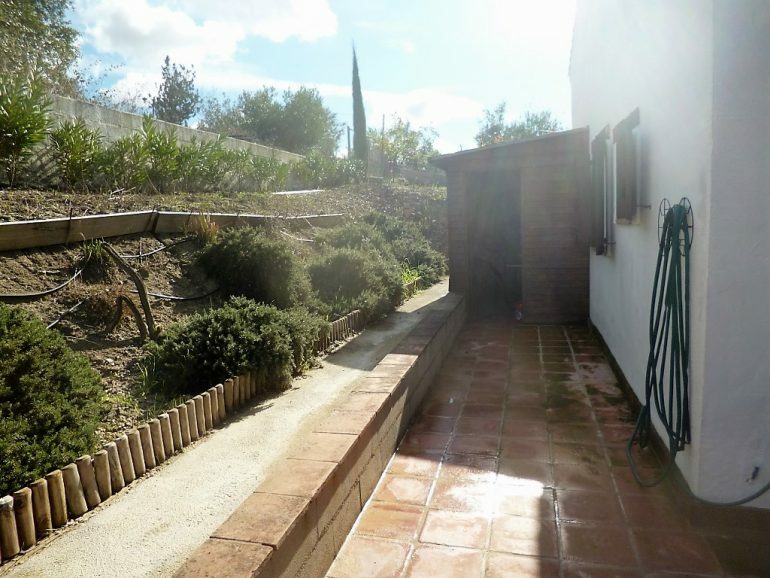 the home has 500 square meters of fenced garden , gated entrance and an ample storage room to the rear. 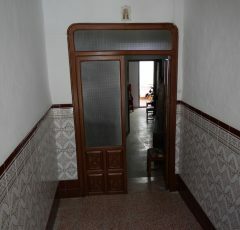 The current owners have successfully rented the place out for holidays and weekends as they have not been able to spend much time there in the past year. 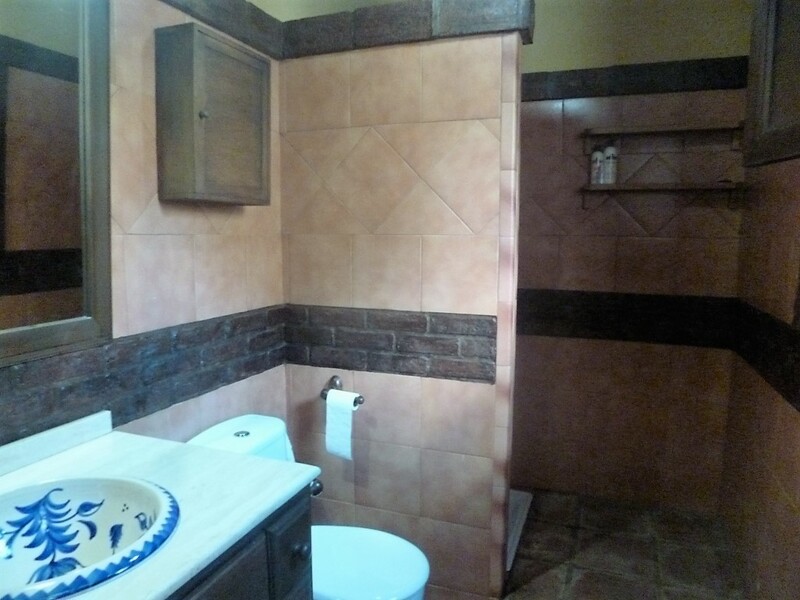 Algamitas offers all the necessities, shops , bars , restaurants etc and the house is a few minutes walk to the center. 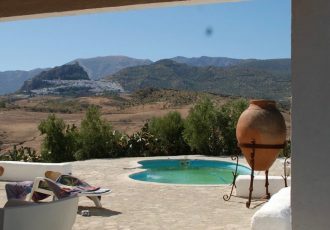 With spectacular the views over the village to the Sierras beyond this is a great place to kick back and relax with family and friends.